Back home after Christmas, the voice of the harmattan rings strong, the first oranges are not quite yellow on the trees, night’s myriad smells overpower the senses, and the city groans with serpentine crowds that do not tail into smallness. this golden reminder of where we first marveled at our mothers’ love of praise singing: the songs of dawn with which they grew strong children, and helped bold men conquer the unknown and everything else essential to survival. its’ quiet drums of rain, pale moonlight in the placid eyes of the chameleon, where we drank patience; until, becoming men, we hastened to embrace the thighs of that world becoming female: those ancient melodies in which some old names had been preserved, before wild contemporariness awakened us to another world: bold temptation that was not sonorous, but could kill the remembrances of golden women. 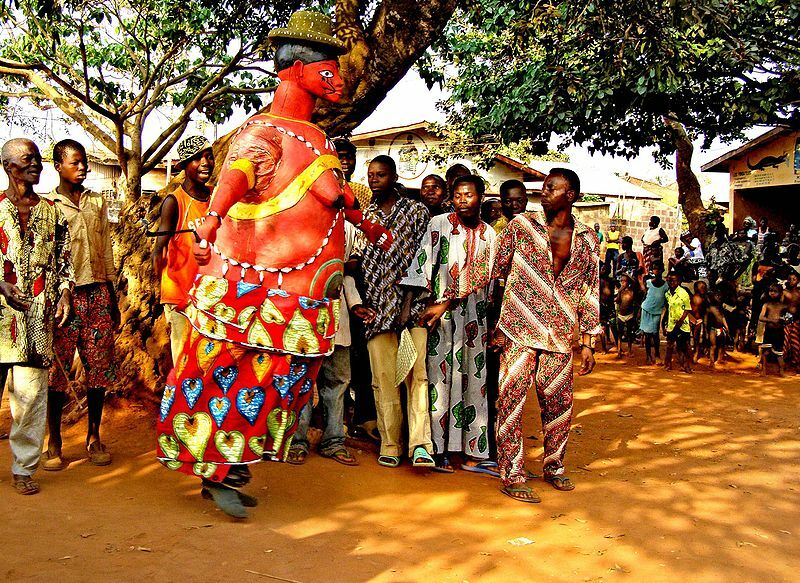 * A Yoruba festival alive in Sierra Leone. Syl Cheney-Coker was born in Freetown, Sierra Leone in 1945. After education in Sierra Leone, he came to the United States and studied at the Universities of Oregon and Wisconsin. He has worked as a journalist and as a university lecturer in the Philippines, Nigeria and the United States. He is primarily known as a poet but has written one novel - The Last Harmattan of Alusine Dunbar - which shows influence of the Latin American magic realism style.